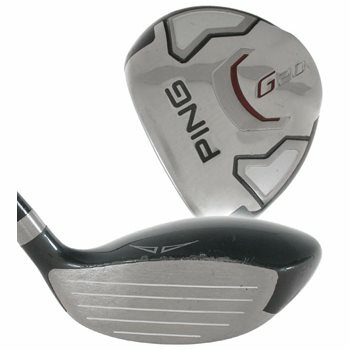 With a 17-4 stainless steel low-profile, elongated head, the Ping G20 fairway wood provides increased forgiveness and playability from anywhere on the course. External weighting has been added, positioning the center of gravity lower and deeper, resulting in optimal launch angles and increased carry distance. The G20 fairway wood is set up neutral at address and rotates square at impact. Does it have any sky marks?